We are powering up learning and teaching with a potpourri of PBS resources, activities and programs. Come along for the ride and see what's in store. 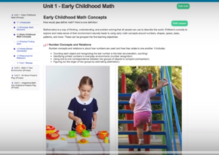 Get connected to a robust resource portal offering quality lessons and activities, a Teachers' Lounge to share ideas, and a thriving education blog broken down into four key areas. In preschool, math is everywhere, and it's integral to learning. All early childhood educators are invited to join the Sesame Street friends in an interactive course covering math and pretend play. Learners will explore the ways babies and toddlers build a foundation for math, and review key math objectives for children ages 2–5. This self-paced course runs from May 8 – August 11, so educators can complete the course at their convenience. The 24/7 PBS KIDS channel debuted a new “PBS Kids Family Night,” offering weekly family viewing events with featured movie specials and themed programming. Families can catch these events every Friday from 7:00 p.m. to 9:00 p.m., repeating on Saturday and Sunday evenings. 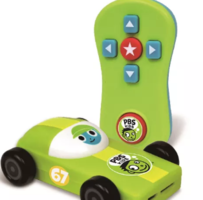 Creative, research-based content and innovative media are now accessible wherever you go with the launch of the PBS KIDS Plug & Play. The handy device offers a one-stop destination to engage with a variety of PBS KIDS educational content. Also included are pre-loaded sing-alongs and exclusive games and original content. Join MPT, Nature Cat, and National Park Trust's, Buddy Bison in our Nation’s Capital this Saturday, May 20th in commemoration of the 7th Annual Kids to Parks Day. This FREE family event will include appearances by Nature Cat, fishing instruction and activities (including supplies), STEM, arts & crafts and environmental education activities, community resources, and more! Meet the lovable PBS KIDS character Daniel Tiger in person during the 2nd Annual Community Day. Grab the family and head to St. Michaels, MD for a day of celebration, fun-filled activities, and community connections! Held at the Chesapeake Bay Maritime Museum on Fogg’s Landing, the event includes free admission, live music, regional foods and drinks, family activities, free boat rides, and more. MPT’s education staff and Daniel Tiger can’t wait to meet you! Thinkport offers quick access to early learning activities designed around trusted PBS KIDS content and programs. Key topics include literacy, math, social studies, STEM and social & emotional skills.